A Pelvic Stabilization Device specifically designed to provide stabilizing symmetrical and circumferential compression. T-PODResponder is easy to apply by a single EMS professional in the field, provides symmetrical, circumferential compression, and does not need to be removed for MRI, X-Ray or CT scans. 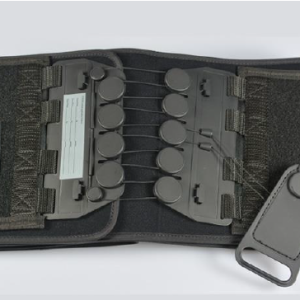 With a new black design, T-PODCombat™ is specifically designed to be used in combat and military situations. 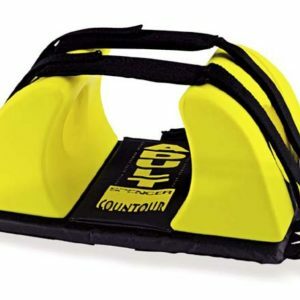 Ideally suited for difficult terrain and situations, T-PODCombat can be quickly applied in the field by one person using an easy-to-tighten pulley system. With a highly flexible design, T-PODCombat is small and compact, is one-size-fits-all, and can remain on through MRI, X-Ray and CT scans. Fastener studied to fix Spencer SX Pick Up stretchers in horizontal position. 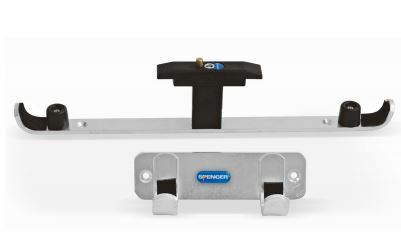 Fastener studied to fix Spencer SX Pick Up stretchers in vertical position. The exclusive Spencer Contour head immobilizer has been studied to assure the optimum head immobilization of traumatised patients. If used in combination with a spine board and a rigid cervical collar, it enables the transportation of a patient in critical condition during long or uncomfortable journeys. A good fixation of the head also gives the rescuers the possibility to take more time to give extra care to the patient in a secure condition for the cervical tract. The exclusive form of the head immobilizer has been designed by rescue experts and has been tested on the road. This form physiologically supports the brain case, avoiding as much as possible further compression of the cranium and completing the immobilization of the rachis supplied by the cervical collar. Spencer Contour head immobilizer is composed of two mono blocks, made of a soft plastic material and a base with belts to fix to various kinds of stretchers. 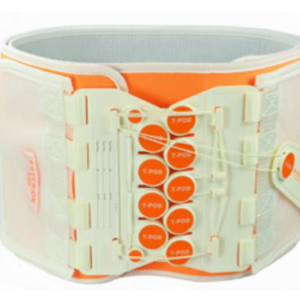 The two shells are positioned with a very resistant self-adherent strips fixation system on the purpose made base, which is fixed onto any type of spine board with the belts provided or by using the self-adherent strips system. Holes have been made inside the two shells, which allow the inspection of the aural pavilions, permitting the verification of any loss of blood or liquids. Moreover, the holes generously accommodate the aural pavilions, allowing the rescuers to communicate with the patient. A new system of moulding has allowed a shell without solution of continuity and with a considerable thickness of the protective film, which guarantees a long duration. The base can be used to fix two mono blocks for adult and paediatric patients, thanks to an additional cushion that can be removed. The material used for the production of the shell is impermeable and avoids the absorption of organic liquids (blood, vomit, mucous). It cannot be damaged by chemical substances or solvents, cannot be modified by physical agents and stays soft even when the temperature varies. It can be easily cleaned. The HP version is characterized by an advanced rigid base for spine board fixation and two straps with carabineer hook for patient fixation.